Kraichgau is a hilly region just north of the Black Forest. 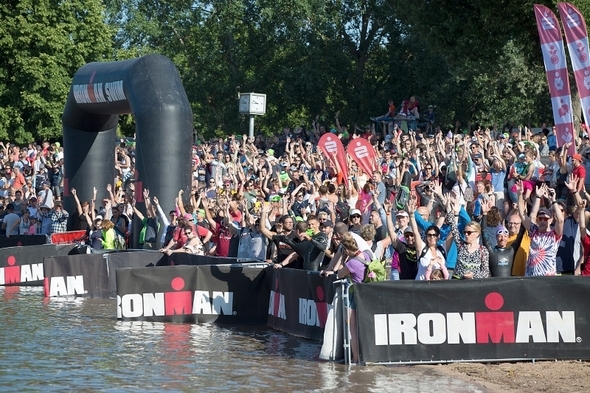 The Ironman 70.3 Kraichgau thus features a challenging bike course in a beautiful landscape. There are two transition in different locations: T1 is located at a lake in Ubstadt-Weiher whereas T2 is next to the registration, expo and finish area in Bad Schönborn-Mingolsheim. 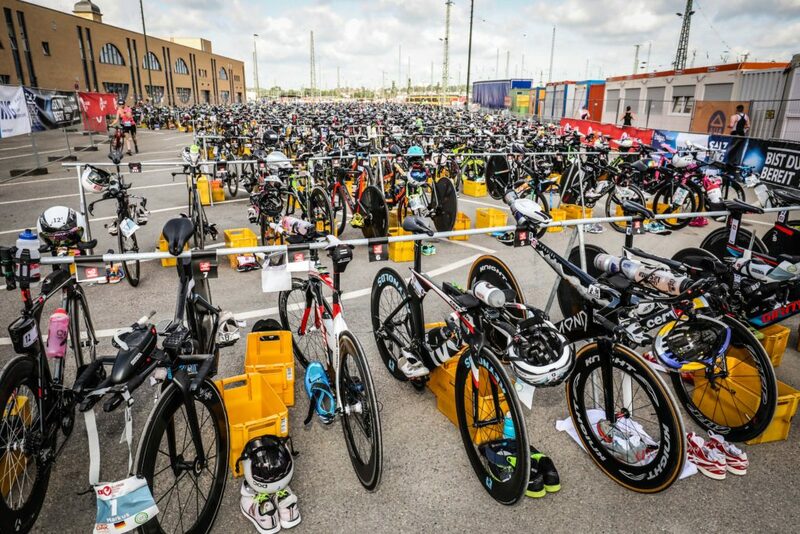 Athletes need to register first at T2, then cycle to T1 for bike check-in (there is also a free shuttle bus). The race is quite well-known in Southern Germany and top athletes use it as part of their preparation for the European championships in Frankfurt. I saw Jan Frodeno and Patrick Lange in the morning and, not surprisingly, they finished the race in impressive times (3:49 for Frodeno and 3:55 for Lange) getting on the podium. The swim had a rolling start and the water temperature was 23,5 degrees with neoprene still permitted. Altogether, it is a beautiful race and very well-organized with a fantastic crowd along the course. Just keep in mind the logistics with the transition areas being in two different villages. 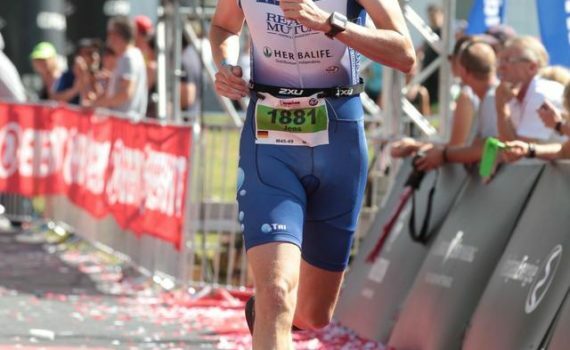 Kraichgau features another half-distance triathlon race: the Challenge 70.3 Heilbronn. 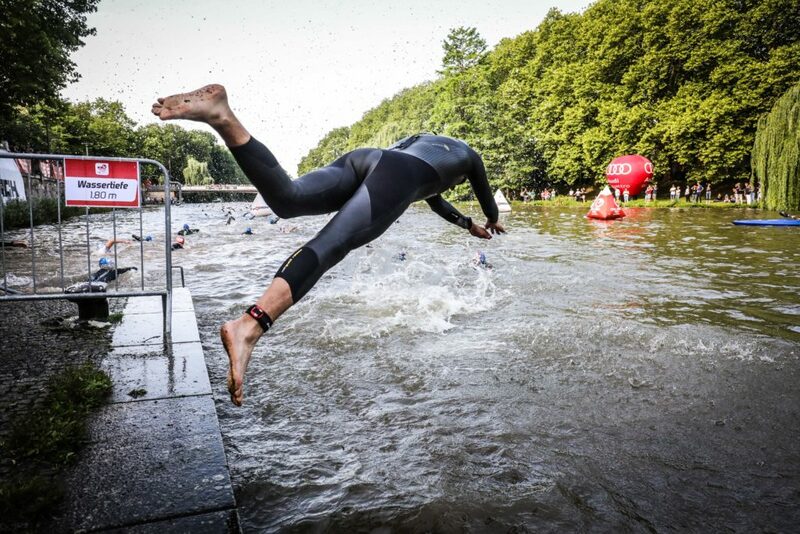 This is a great race in southern Germany, featuring a swim in the river Neckar. As the bike course winds through several vineyards, you really get to know the hills of Kraichgau. The run leads you along the river and passes through the center of Heilbronn. Sebastian Kienle won the race in 3:49. The finish area was in front of the historic town hall with thousands of spectators. 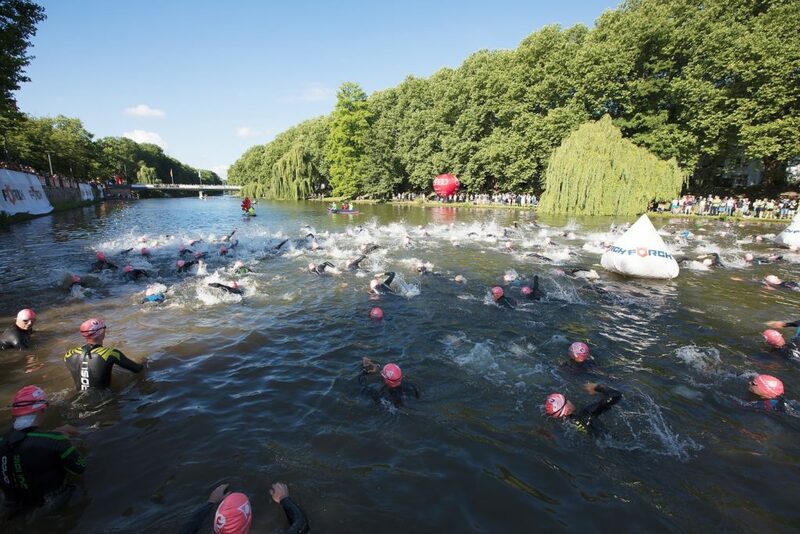 If you want to try a race with a river swim and like cycling through vineyards, this is the race for you. I enjoyed the atmosphere of the whole event and even saw another oxygen athlete, Ilaria Del Grande, during the run.